The Top 7 Roofing Tips to Deal with those Annoying Leaks. Leaks are the most common homeowner’s nightmare. Those little holes that cause big problems can become a real headache. Ignoring them is not an option. That’s why the Bay 101 team wants to share these 10 roofing tips so you can face the unwanted leaks and win the battle. Learn about roof leak locations and how to fix them safely. Are you ready? There is no quick-fix when talking about leaking. Inspecting your roof while it’s covered with ice and snow, or even worse when it’s raining is not a safe way to find that disturbing leak. Not mentioning that trying to fix the leak temporarily could put you in the hospital. Take a deep breath, be patient and wait for Mother Nature to give you the green light. There’s no need to rush. Working on a roof involves putting the body in uncomfortable or nonsafe positions. So, prevent slipping by wearing rubber sole shoes. For extra safety, you can use a harness and share the work with a friend or neighbor. Take your garden hose and spray in different roof locations to find the leak. Try not to do this on wintertime. It’s not safe to run water on the roof when it’s freezing out. Do you know what the best place for leaks to appear is? Gutters. 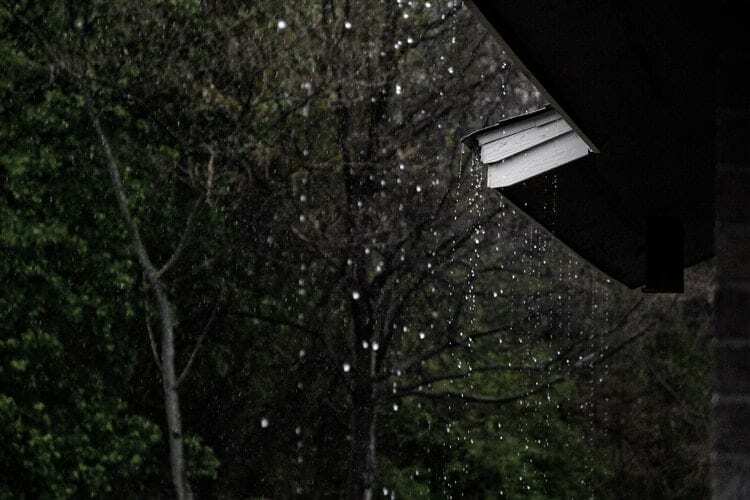 Clogged-uncleaned gutters cause the water to build up during rainy seasons. Lack of ventilation is the main reason for dry rot. To prevent dry rot to appear it is necessary to install ridge and soffit vents. That way, fresh air comes in and pushes the hot air out through the top of your roof. Problem solved! Ice loves building up under your roof structure. That’s a fact! Shingles and gutters seem to be the perfect place for ice to accumulate. Later, it starts melting and creates an interior drip. Getting rain and ice shields as well as having proper ventilation will help prevent this common roofing problem. Faulty shingles are propense to crack quickly once they’re nailed down. Besides, the way shingles are installed play also a big part in leaks. Before installing any element on your roof, check first the merchandise. Remember that you get what you pay for. Pay for high quality. A ridge or valley is the intersection where two roofs meet. Valleys are also common places for leaks to appear because they receive all the water from the roof. Did you find your first leak? Do not get discouraged! Getting rid of leaks is simple if you detect the problem from the beginning. Start by following the roofing tips we just gave you. Have more questions, do not hesitate to call us. Take care of your roof before it’s late. Ask for a FREE ROOF INSPECTION and let our Bay 101 Roofing Team do the work for you. Contact us!